Who doesn't love drawing? How many of you don't even realize you are doodling on a piece of paper while listening to a conversation? Doodling and drawing is a past time of most people. Drawing or re-creating scenes from something that a child has just read can reinforce the material in their mind. It can also bring it to life in their imagination. 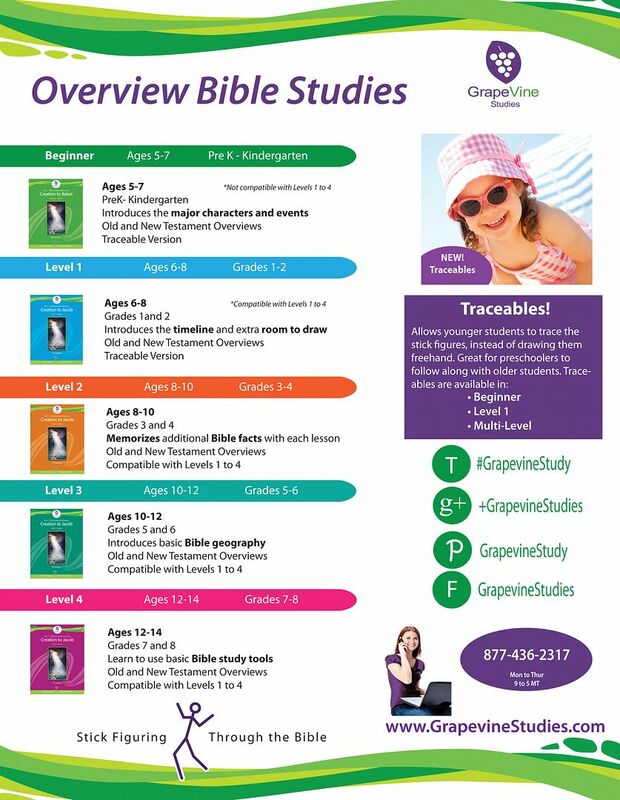 Grapevine Studies has created a wonderful option for students to help reinforce Biblical teachings with your children. 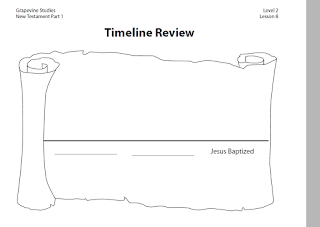 We had the opportunity recently to review Grapevine Studies - New Testament Overview Part 1 - Level 2 Birth of John to Jesus Ministry (Ages 8 - 10). Grapevine Studies calls it stick figuring through the Bible. Students learn about the events surrounding the birth of John the Baptist through Jesus Life. New Testament Overview Part 1 - Level 2 Birth of John to Jesus Ministry provides studies with 12 weekly lessons or 45 daily lessons. 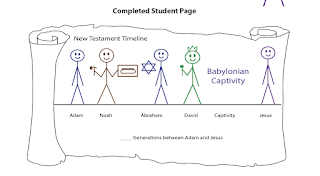 They will learn individual verses and also learn how to create a timeline of the New Testament through the workbook pages. Extra memory work is also included at this grade level to keep challenging students as they grow in their spirituality. 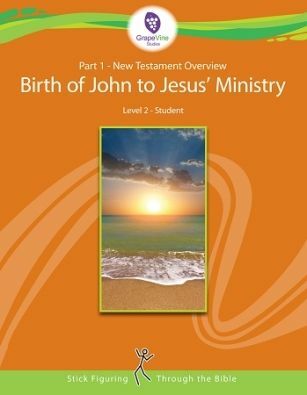 As part of our review, we received the New Testament Overview Part 1 - Level 2 Birth of John to Jesus Ministry student e-book ($10.00) and New Testament Overview Part 1 -2 - Level 2 Birth of John to Jesus Ministry e-book ($18.00) Teacher's Manual. Along with your own copy of the Bible, you can sit down with your child and they can journal or draw the main point of the verses you are reading. It allows them to Chronicle the life of Jesus from before the birth of his cousin John through his ministry. Each lesson not only contains the journaling boxes, but also reinforcement questions to go through with your child. 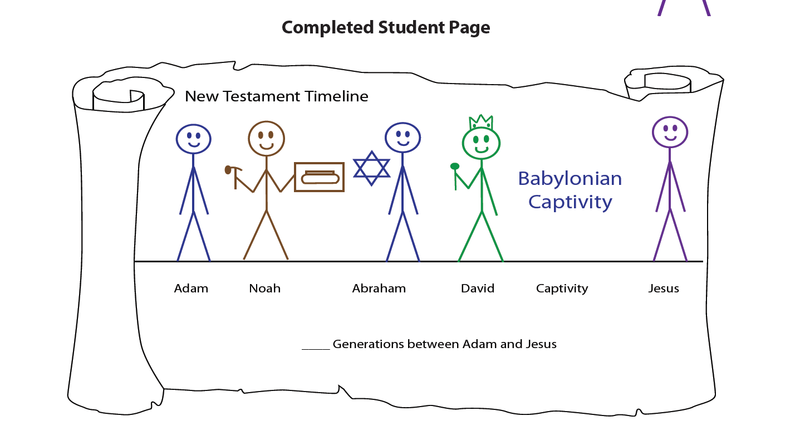 The New Testament Overview Part 1 -2 - Level 2 Birth of John to Jesus Ministry e-book Teacher's Manual gives parents examples of what material should look like when students are finished. Also helps them with answers to the Lesson Review questions if your students are working on this work independently. And it also scripts out for parents what they could say to make the instruction easier. You can use the material or just say what you would like. It is your choice, and this series is easily adapted to multiple age levels in your home or in a co-op setting with many children. Each daily lesson is also easily done and I found that as we were reading from our copy of the Bible, it really drew out more questions from our children. They were wanting to draw the right type of picture to go with each box. So we would re-read scriptures and really talk about the issues surrounding the events that we were reading about. 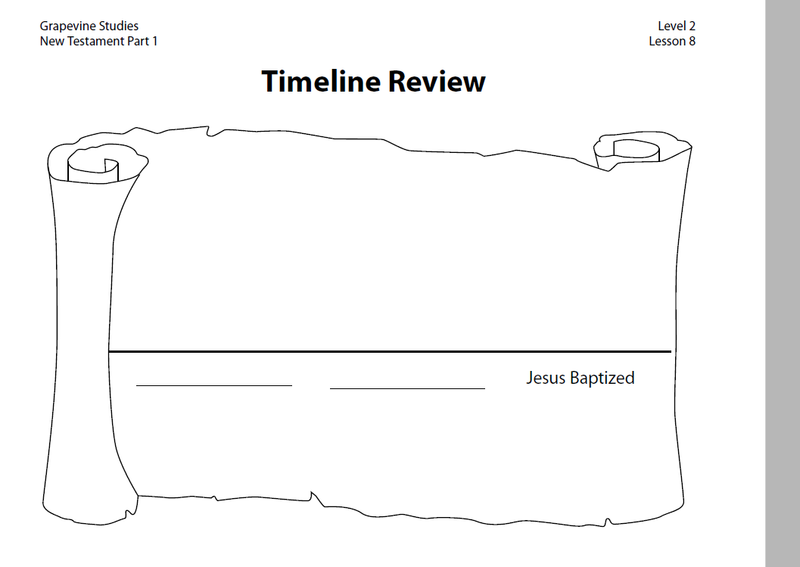 I think my favorite part of New Testament Overview Part 1 - Level 2 Birth of John to Jesus Ministry you can use it with your own copy of the Bible. It does not require you purchasing a specific Bible study aide. 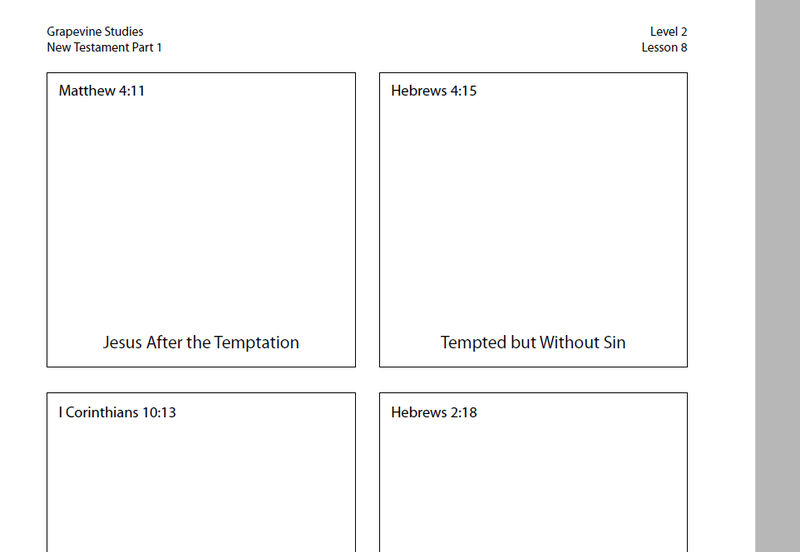 GrapeVine Studies does offer the ebook option, so you can print specific materials for your family bible study, a coop or just your lessons for the day or week. It is also very affordable for families with multiple student levels. You also do not have a long list of needed supplies to create the lessons, you simple need writing materials (crayons/markers if your kids like it fancy) and a copy of your Bible. That's it. You could use a dry erase board if you wanted to, but we did not find it necessary to have the extra materials out. 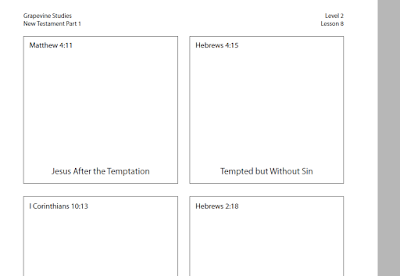 The New Testament Overview Part 1 - Level 2 Birth of John to Jesus Ministry is definitely an added benefit for students. Several members of Schoolhouse Review Crew were given the opportunity to try out various products from Grapevine Studies. Take some time to see what other products they offer and how the Crew members were able to use them in their homes. You made a great point. We had some amazing conversations related to the reading. I loved how we could just jump into more details when questions came up,without feeling like we had to stifle that to get through.